I have known Adrienne and her family for many years. I am best friends with her older sister, and we all grew up in Pearland together. Adrienne met David in college at A&M. I’m sure they will be having an Aggie-filled Wedding with the Aggie War Hymn included. Currently, they are both working in Oklahoma City. 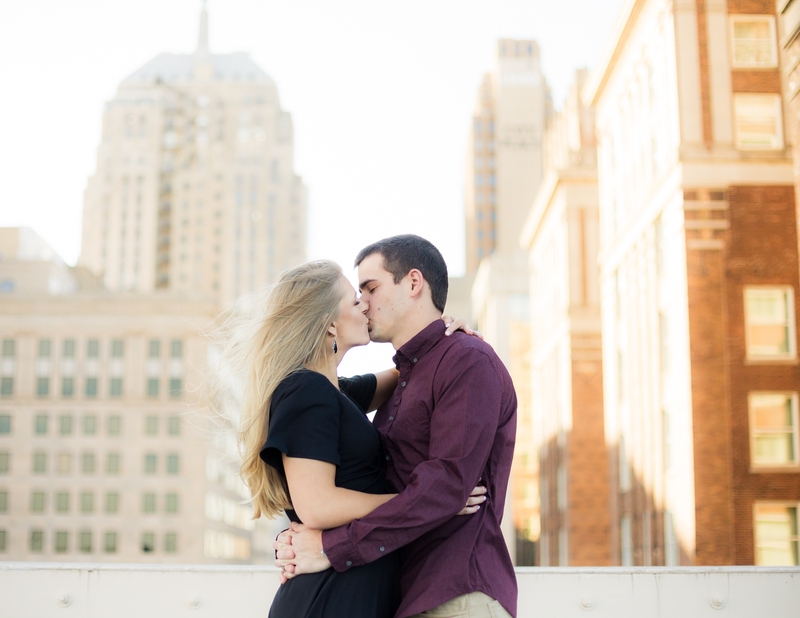 They have really created a new home in Oklahoma and wanted to document this city in their engagement photos. 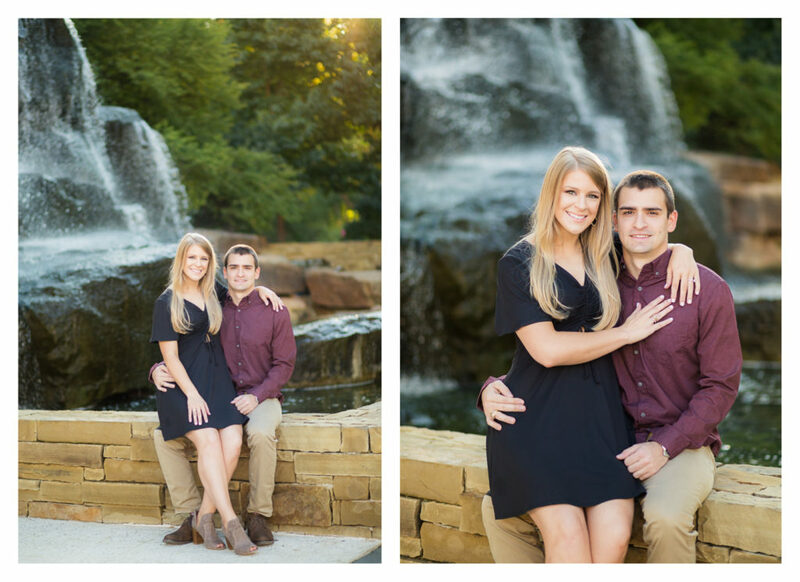 They will be getting married in the Fall 2019 in the Houston area since that is where their parents and most of their family are located. 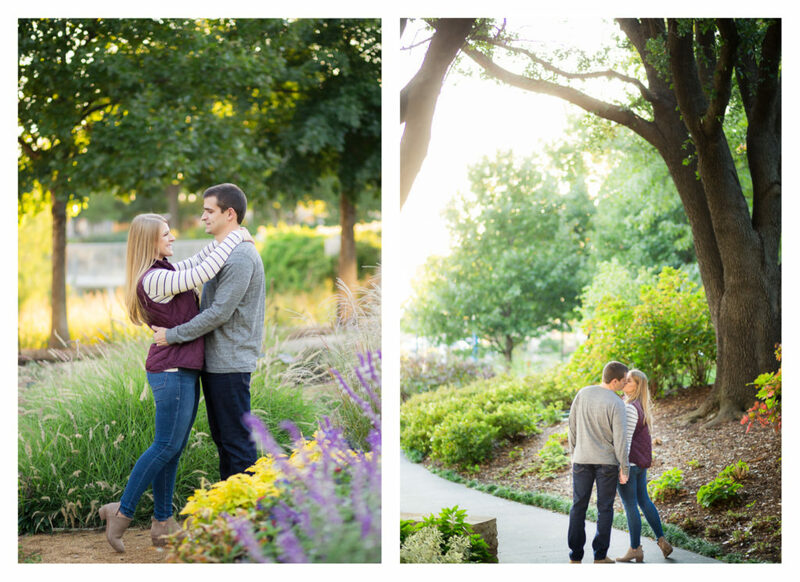 I knew Adrienne wanted to take pictures at the beautiful Myriad Gardens in Oklahoma, but a few days before she mentioned also taking a few photos on this rooftop nearby. I love how these turned out as well. Popping champagne always makes things more fun too! 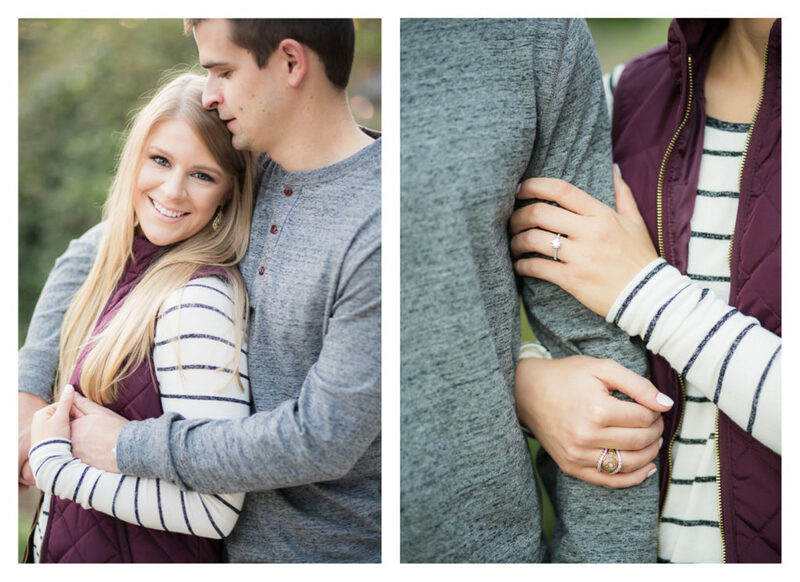 Even their engagement outfits support the Aggie colors. 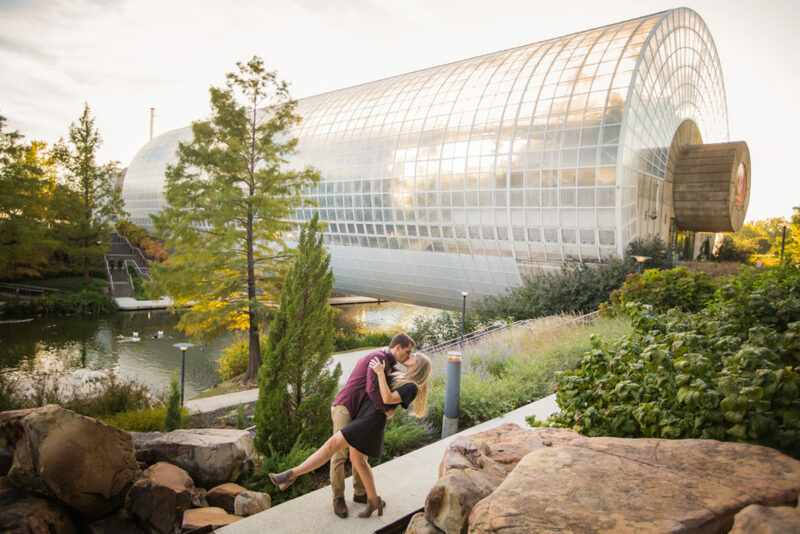 This was my first time at the Oklahoma City Myriad Gardens and wow – it was gorgeous! We had the perfect day for a session too. Oklahoma had been having a lot of dreary weather like Houston had been experiencing. I think everyone was excited for a beautiful weekend. 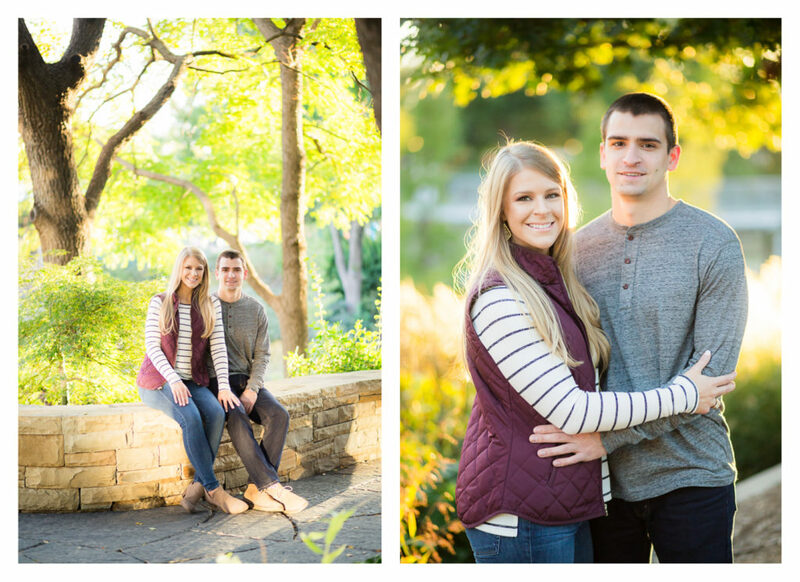 It made it easier to incorporate some Fall outfits into their engagement photos as well! 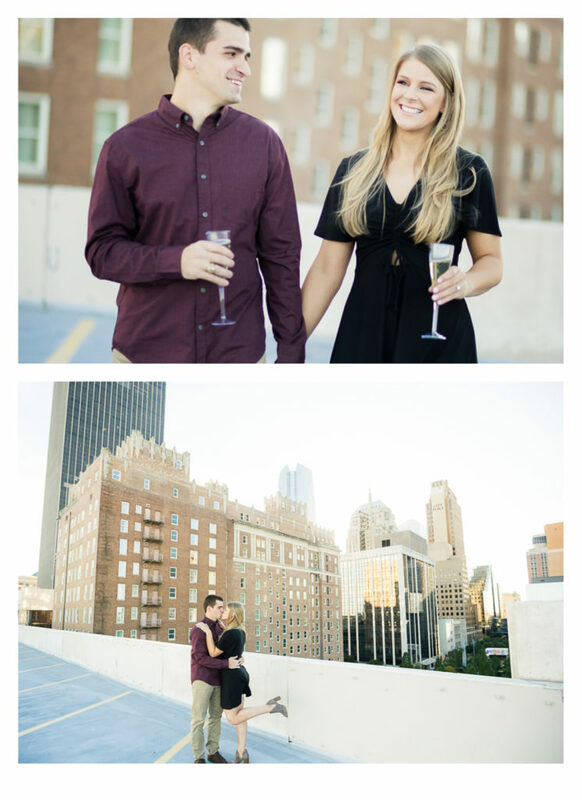 A lot of my work is focused on the couple with blurred out backgrounds, but since we wanted to show the location of Oklahoma, we took some cool wide shots showing of the architecture of the area as well. Inside this glass tube were some more botanical gardens. I wanted to take a photo showing off the Aggie Ring Wrap that David gifted to Adrienne while they were dating. Under this arch is where David actually proposed to Adrienne. Their friends and family were actually hiding in the bushes to celebrate after the proposal. Adrienne was totally surprised! 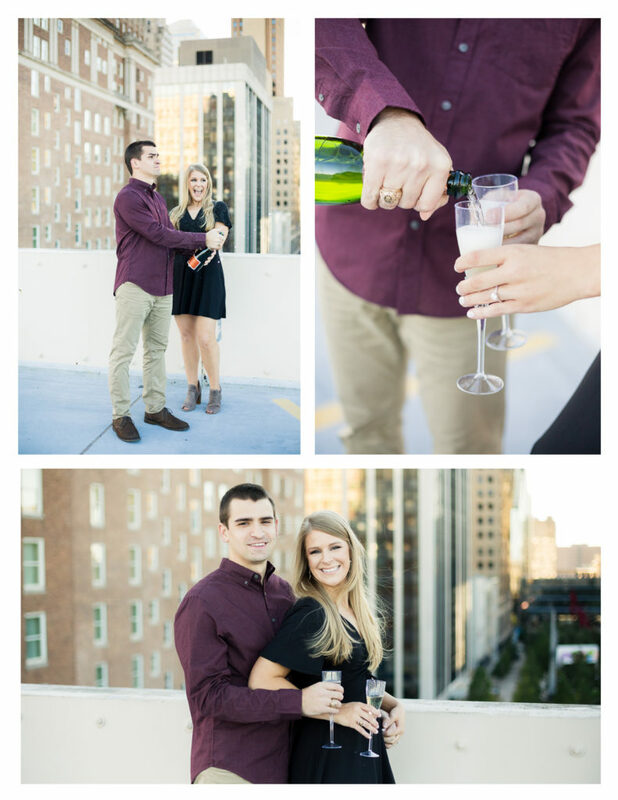 David did a great job making it a super sweet proposal! 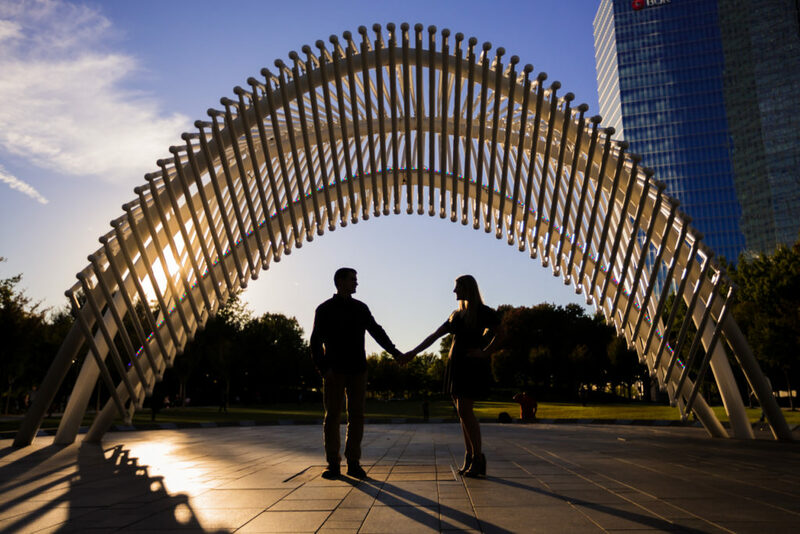 He proposed after a romantic dinner when this arch was all lit up.